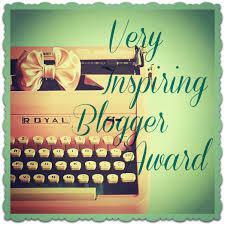 Thank you, Mba Mikan for nominated me on Very Inspiring Blogger Award. 2. I’m really love cooking and baking. When I was a kid I always help my Mom in the kitchen. My mommy is my first mentor 🙂 I never join in cooking and or baking class, I hope someday I could join cooking class to improve my skill. 5. Talking about food. My food need to be spicy, spicy and spicy, more chilli and more pepper, please 🙂 I love pasta soooo much, so so much and, of course, Indonesian food though. I love eat, I love food. 6. I have a dream to visit New Zealand, Finland, and Norway 🙂 and I really want to see Northern Lights! Oh God, please make my dream come true! Next Article Love Me Like You Do! Ibu Tiri! Owh, you’re not as wicked as I thought, are you? Yes, I do hope so! Amin! I never thought of you as being Manadonese Ji. NZ is beautiful but the Lord of the Ring set tour is just extremely expensive said my husband. I think it can be up to AUD 1000?? Crazy that it is very commercialized now. Yeayyyy I love spicy too! You dont want to visit Aussie? 😉 Sydney to be exact. I want to visit NZ too mbak Puji…..
haaaa ibu tiri yang bener ji, ibu tiri yag baik kali ya. kan ibu tiri jaman sekarang kebanykan asyik-asyik. thanks berat udah dinominasiin ya ji. tapi gak janji ya. gapappa ya. asli saya parah deh kalo soal award-awardan. gak tau mau ceritain apa…. sumprit.